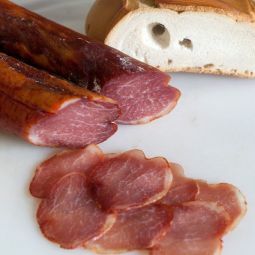 The Iberian pork Loin, our is "cebo*", is with no doubt the most coveted part of charcuterie of the Iberian pork. 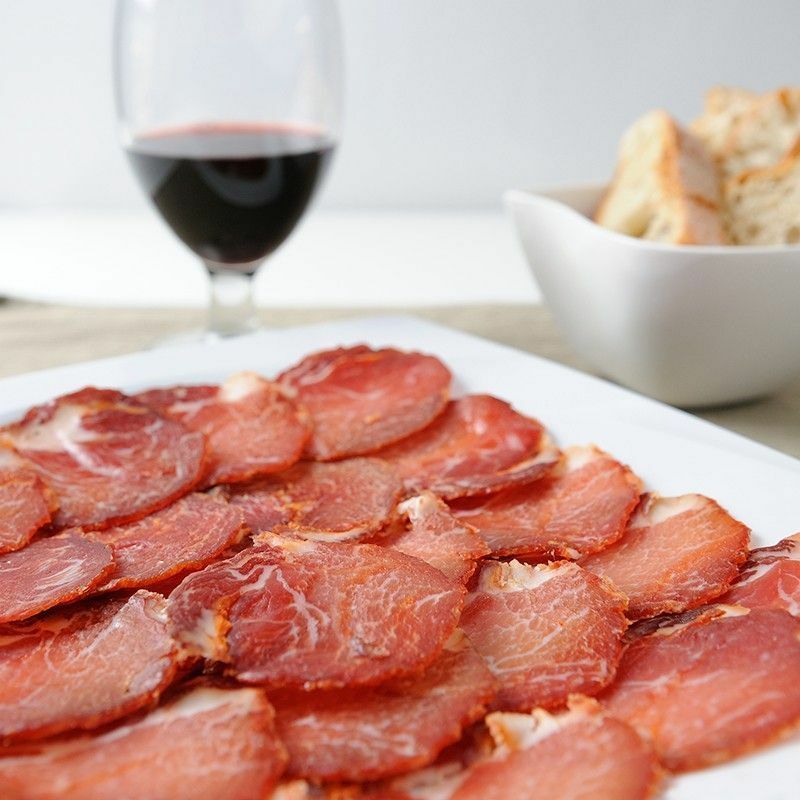 Our Iberian pork Loin comes from the region of Salamanca, which has the perfect climate for air drying hams and charcuterie. The Iberian breed pigs are raised with feed based on cereals and soy. 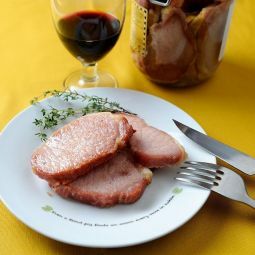 During the careful process of air drying the pork loin adopts the firm texture, the soft reddish colour, the characteristic aroma, the juiciness and the fine taste. 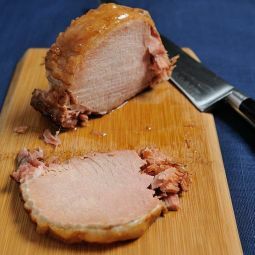 The Iberian pork Loin is sliced and we recommend to air it about 15 minutes before consuming it. You are going to enjoy this great Iberian product regardless the way you're going to have it. 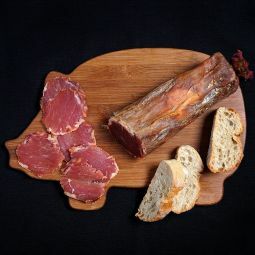 *Cebo is a designation due to the way of feeding the Iberian breed pigs on the one hand and on the other the purity of the breed of the pigs.